Alabama. 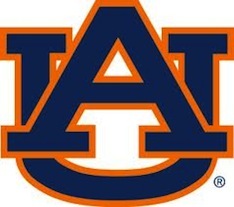 Auburn. The Iron Bowl! It's the Iron Bowl with a spot in the SEC Championship Game on the line as the Crimson Tide hosts archrival Auburn on Saturday, November 24 at 3:30 p.m. on CBS. Join Alabama alumni in the Greater New York City area at two of NYC's best sports bars, The Ainsworth and The Hill. To reserve a table at The Ainsworth or The Hill, send an e-mail to alabamanyc@gmail.com starting Sunday, November 18 through Wednesday, November 21. Requests from dues-paying chapter members and those received by Wednesday are given priority for table reservations. In your request, provide the number of guests (minimum of four), preferred location, cell phone number and the name you would like on the reservation. Confirmations will be sent out Friday. We will do our best to accommodate everyone, with dues-paying chapter members given priority.